For nearly 20 years, Dan Temple, owner of Emerald Home & Building Inspection in Gresham, Ore., has earned the respect of homebuilders, realtors, home and property owners, and even his peers by going beyond what is required as a home and building inspector. Not surprisingly, customers are blown away by his work as the glowing testimonials on his website attest. He’s a preferred vendor on Angie’s List. And for five years in a row, he’s won the Gresham Award for excellence in customer service, sponsored by the Gresham Chamber of Commerce. So what’s special about a Dan Temple inspection? In a word, thoroughness. “I come with a tape recorder and a digital camera. I check the inside, the outside, the roof. I’ll even tear apart the furnace and check everything in there,” he says. All the while he’s inspecting, he’s making comments in his tape recorder about any potential problems he sees. “Then I take the homeowner with me on a tour of the property. We go around looking at everything again, while I explain what needs to be done for improved home safety and energy efficiency. “Many homeowners don’t even know how to change an air filter. I show them how to open the furnace and change the filter. I tell them things they need to watch out for depending on the make of the furnace,” he declares. Temple is usually in and out of a residence or small commercial property within a few hours. Yet, he stays long enough to later provide his customers with a digital and hard copy in a 3-ring binder containing 150 or more color photos of what he observed. Each photo comes with a detailed caption. He also adds a customized section of 20 or more pages rich in value. This section educates the customer on how to better take care of their particular property to avoid potential problems. “I get a picture of everything that’s wrong – like a broken piece of trim or a cracked door or leaky plumbing. Then I give them a full story on it so they really understand the problem,” he adds. Besides demonstrating a great attention to detail, Temple also comes with a good sense of humor. Part of Temple’s passion for doing exceptional work lies within his nature. He wouldn’t have it any other way. 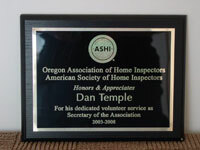 The other comes from his membership in the American Society of Home Inspectors (ASHI). “We’re the fanatics,” he says with a broad smile. “We go the extra mile. “ASHI requires you do 250 inspections. And then they request 50 of them randomly. They review them and decide whether you know enough to even become a candidate with ASHI. I became an ASHI inspector in 2001 and have been with the organization ever since,” he says. Elements of his personality – the iron will to succeed and a relentless work ethic – were present at an early age. After studying drafting and design in high school, he went directly into heavy construction. “I built half the Oregon State campus, K-Marts all over, and even built a million square feet refrigeration and storage building in Libya, where I ended up being the project manager,” he says. Up until 1978, he was doing commercial construction. Then he switched to building and designing homes, like he did when he was in high school. In 1980, he accepted work in Libya. “Back home I was known as a ‘have Danny do it’ type guy. I was kind of fearless. So when an agronomist wanted me to go to the Libyan Desert as a project manager for a million square feet refrigeration and storage building, I went. I worked there just over a year,” he says. Temple then went back to digging ditches and framing houses for contractors before gradually building himself back up. 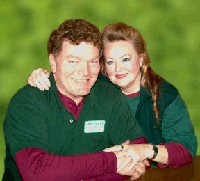 By 1988, he was back in Portland working for a construction company when he met Muriel. He was smitten with Muriel’s warmth and compassion, and her intelligence. After working together for a year on a construction project, they wed. Together, they started building custom homes on their own. Because of his reputation for building quality homes in less time than other builders, the Portland Home Builders Association, one of the nation’s largest home builders associations, asked him in 1991 to build a home for the prestigious Street of Dreams. “They built 6 to 12 ‘million-dollar’ custom homes annually on what’s called the Street of Dreams. Then they charged people to tour it. But they only had five homes going into the ’91 Street of Dreams,” he explains. While the other builders had nearly a year in which to build their homes, Temple had only four months when the Association requested his help. During the next few years, Temple built energy efficient homes. Shortly after building one more Street of Dreams home, which included a 60-foot swimming pool in the basement, he decided to quit the business. “I was vice president of the fifth largest Home Builders Association in the nation when I walked away from home building in 1994. I was tired of the politics, the long hours, and wanted to spend more time with my kids and grandkids,” he says. About this time, Entrepreneur magazine was promoting home inspection as the next best thing: Since Temple had years of construction experience, he decided he could become a home inspector. So when a home inspection franchise called World Inspection Network (WIN) advertised in Portland that they were seeking only senior construction people, he bit the hook. He became a professional home inspector. He worked with the franchise for five years and became a huge success. His territory covered nine zip codes in East Portland. But suddenly the franchise pulled a fast one. In its efforts to attract more inspectors, they gave away eight of Temple’s nine zip code areas to the newcomers. When he protested, the Network banned him from doing home inspections for a year. In disgust, he left the franchise. Because of the Federal Trade & Franchise law, he was prevented from doing home inspections on his own for one year. So from December 1998 to the following December, Temple acted as a home building consultant. In December 1999, he started his own home inspection business. Because of his good reputation and his connections with home builders throughout the region, Temple hit the ground running. He didn’t need five or six years to build his business and make a successful living at it like most other home inspectors. In nearly 20 years of home inspection (five years with WIN), he has performed 12,000 inspections. Temple conducts his inspections primarily in the region east of Portland. Occasionally, his inspections take him to Corvallis and Salem, or to ski lodges and cabins around Mt. Hood. Because of his excellent reputation, he sometimes gets requests to travel beyond his area. One gentleman wanted to fly him to Denver for an inspection, but Temple declined. While Temple does the inspections and writes the reports, he confides that his wife takes care of running the business. ‘i’ dotted and every ‘t’ crossed. She takes care of all the government red tape, and keeps copies of every report we’ve ever done plus detailed information on every house we ever built,” he says. 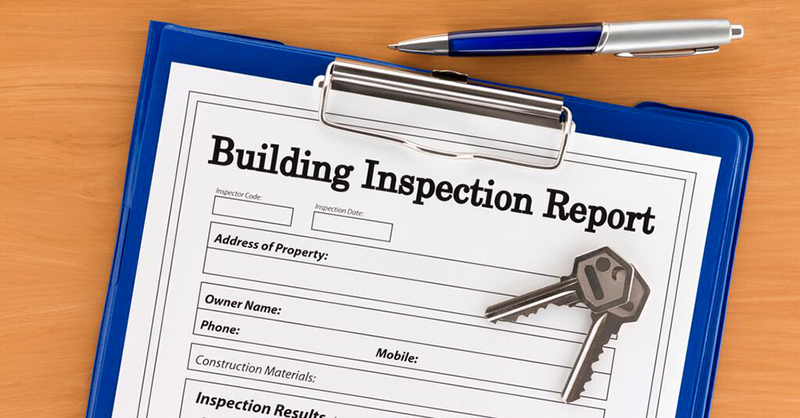 Among all the types of inspections Temple conducts, home inspections are the most common. They include inspections for persons buying either a new or used home. “Many people think they don’t need to inspect a new house. But the building code is about code standards, not about workmanship. “In Oregon, new homes come with a year’s warranty for workmanship and materials. Customers often have me come out during the 10th month of a warranty to review a builder’s punch list. If the homeowner never did an inspection at the beginning, they may never know that three heating ducts were never connected. So they’re wondering why their heating bill is so high,” he says. He continues, “The typical American loves hot water, steam, and long showers. They don’t like to use the cheap, noisy fans builders put in their bathrooms that move very little air, so they don’t exhaust out the moisture. 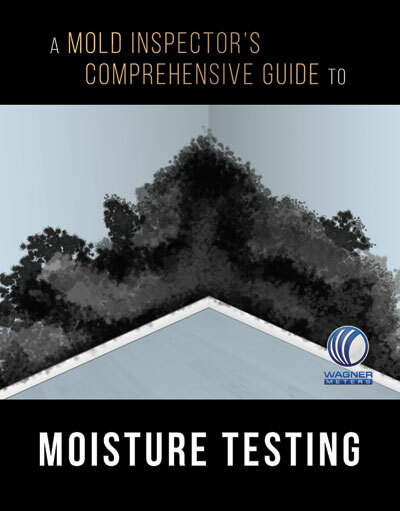 “Because nature wants to balance itself, the interior of your home gets high in humidity. It then migrates through the wall and condenses into a liquid, which becomes dampness. When any material containing cellulose holds 20% moisture content for about 48 hours, it starts to develop fungal rot because the spores are on everything. 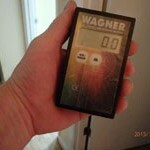 “My ace in the hole for finding dampness behind walls or beneath the floors or shower tile is my Wagner pinless moisture meter,” he remarks. “When I first got the meter, I ran it over a 3-inch thick phone book with a glass of water beneath it. The meter actually could read the water. I was impressed,” he says. Temple’s first moisture meter was a pin meter, but he and other ASHI inspectors didn’t like the idea of sticking metal probes into a property owner’s walls or flooring to get a reading. “We’re supposed to be non-invasive. We can’t poke holes into things we don’t own,” Temple declares. Another tool he occasionally uses on the job is a FLIR infrared camera. Although some inspectors use an infrared camera for finding hidden moisture, Temple uses his only to confirm what he finds with his moisture meter. “You have to use it in very controlled conditions in order to get the right differentials, to really do something with it. I’ve used it to trace water coming down through a building. If everything is stable and nothing’s been changed overnight, you can get a fairly accurate trace. “But if you don’t know what you’re doing, it could be that at that part of the house the sun came up and shined between those two fir trees for two hours. That wall is a little bit warmer than the wall shaded by the trees. “So when you look at the wall that got the sun, your infrared camera will give you a reading, but not necessarily an accurate reading. 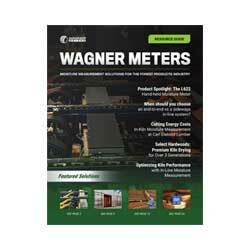 The moisture meter, on the other hand, will tell you if there’s actually any moisture in that wall,” he says. It’s this type of knowledge and unparalleled attention to detail that contributes to Temple’s success as a home and building inspector . 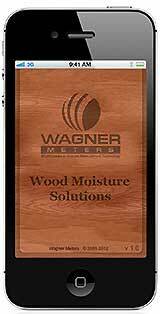 . . along with years of experience and a deep-rooted passion for exceeding the customer’s expectations.